Isotonix is just one of Market America’s exclusive health and nutrition brands. It stands out from other brands by its unique delivery system. From antioxidants to immune system boosters, learn more about the benefits of multivitamins and other health supplements. Explore some of the best supplements from Isotonix®, and remember to check out our guides on the ingredients in Isotonix® products. Promote healthy cell regrowth cycles. Promote apoptosis, or scheduled cell death, of unhealthy cells. 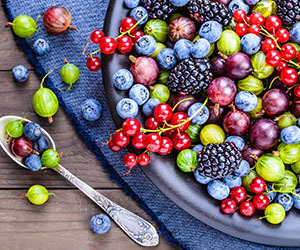 Antioxidants may be found in foods associated with a healthy diet: fruits and vegetables, green tea, and even red wine (in moderation, of course!). Several Isotonix® products contain certain ingredients that have antioxidant properties, such as vitamin C. But what does that mean? Even more importantly, what do antioxidants do? Can Supplements Help Improve Skin? Supplements can help improve skin by providing essential vitamins and minerals from the inside out. Nutrients that support cell health provide antioxidant protection and reduce free radicals can help maintain a healthy complexion. Skin care is more than just moisturizers, cleansers, and toners you use every day. For your skin to look and feel its best, you need to support your skin from the inside out. Nutrients essential to your healthy skin can be added to your skin care regimen. What Nutrients Help Maintain Bone Health? Nutrients that maintain bone health include calcium and other vitamins and minerals that support the absorption and usage of calcium. What Are the Benefits of Joint Supplements? The benefits of supplements for joint health include connective tissue strengthening and support, joint fluid production support, and inflammation relief. What Supplements Support Heart Health? Supplements that support heart health include OPCs, bioflavonoids, B vitamins, CoQ10, and more. Learn where to find them and how to get more into your day. Maintaining normal blood sugar levels goes beyond watching the sugar in the foods we eat. Learn more about the role of vitamins and minerals. What Supplements Promote Healthy Vision? Supplements that promote healthy vision contain vitamins, minerals, and antioxidants. See which combinations work best to support strong eyesight. What Are the Benefits of Supplements for Immune Health? Supplements for immune health have several benefits, including boosting antioxidants, promoting cell health, supporting blood cell maturation, and more. What Vitamins & Minerals Help Muscle Function? Vitamins and minerals help muscle function in myriad ways. Learn which vitamins and minerals help promote muscle health and how to incorporate them. What Vitamins Are Good for Memory? Vitamin C and vitamin B both support good memory. Learn how this is done and what other supplements support good cognitive health. How Do Enzymes & Probiotics Support Digestion? Enzymes and probiotics support digestion by promoting healthy functionality of each part of the digestive tract. Learn more. Does Magnesium Support Sleep Quality? Supplements that encourage better sleep include niacin, magnesium, and L-tryptophan. Learn more about each of these and how to get them into your diet. What Supplements Promote Relaxation & Reduce Stress? Supplements that support sleep quality include niacin, magnesium, and L-tryptophan. Learn more about each of these and how to get them into your diet. What Supplements Support the Endocrine System? Supplements that support the endocrine system include vitamin C and manganese. Learn how to get more of each into your diet. What Supplements Support Thyroid Function? Supplements that support thyroid function may contain iodine, selenium, and vitamin B2. Learn where to find them and how to get more into your day. B vitamins have been known to help boost energy. Find out more about how supplements like B vitamins, Yerba Mate and Ginkgo Biloba may help improve energy levels.